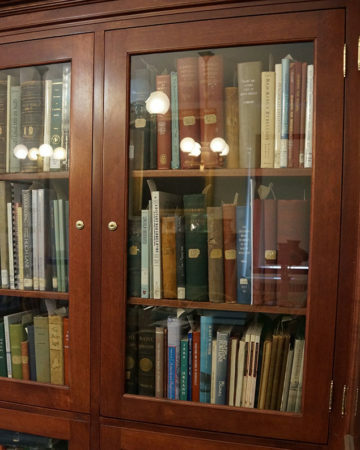 In addition to a collection of 13,000 volumes—including a comprehensive list of current bestsellers and award-winners—the Witherle Memorial Library provides special collections, services, equipment and programs for patrons. The library maintains a large collection of materials on the history and genealogy of Castine. Our online catalog includes books on local history. There are also indexes available in the library for materials not included in our online catalog. 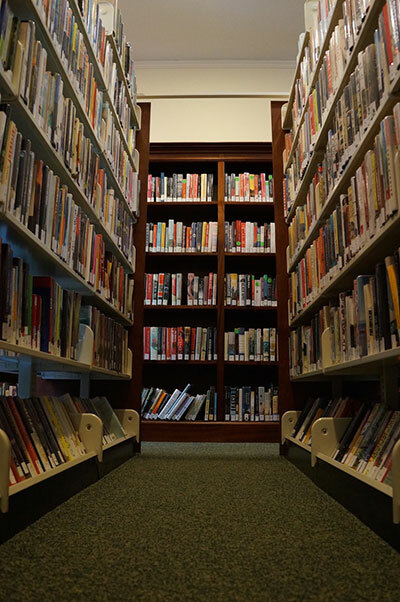 The library’s local history collection spans the 17th through 20th centuries. Along with books, we have local newspapers, letters and diaries, early photographs, postcards, maps, and more. Library patrons can access one of our desktop computers and tablets for 30 minutes at a time. Free computer tutorials are available. We are also a WiFi hotspot with 24-hour access to the internet. WiFi passwords are available at the library desk. Read our Internet Use Policy. Please note: All patrons under the age of 18 must have an internet permission slip signed by a parent or guardian to use our computers without supervision. To register please see a Youth Services librarian. Library patrons may make black and white and/or color copies for a small fee. The fee schedule is available at the front desk. Our photocopier is also a scanner – patrons may scan to any of our public-access computers to email or save to a removable device. However, printing is not available from a personal device directly to our printers. To print a document you will need to access your document from a removable device, email or cloud-based storage account. Please note: Anyone using a WML computer is asked to sign out of all personal accounts, delete history, and clear the computer’s download file. This is not done automatically when you end your session. The Witherle is not responsible for any content, material or personal information left open or saved to the desktop. The Witherle Library is a part of Minerva, and therefore has direct access to the collections of 57 Maine libraries. MaineCat extends this reach even more. ILL is a favorite among book discussion groups and academics. The Children’s Room actively uses this service as well for popular YA titles and to support home-school curricula. You can check the collection and order interlibrary materials from home or by any mobile device or contact the library desk for help. The library will fulfill and/or select, package, and deliver materials to patrons who are not able to make regular visits due to health, mobility or disability. This program is in collaboration with Healthy Peninsula. For more information, to enroll or volunteer please contact the library. Do you or someone you know want to read, write, spell or speak English better? Literacy Volunteers of Bangor is dedicated to serving any Bangor area adult who wants either to work on basic English skills or to learn English as another language. Tutors follow the model that there is no such thing as an average learner, and there is no such thing as the best way to learn. Volunteers seek to change the direction of clients’ lives without judgment. Their services are free and confidential. For more information or to initiate the tutoring process please stop by the library desk or contact. Audio applications are available. 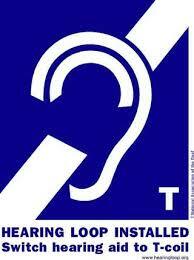 The library’s Reading Room sound system features a hearing loop which is compatible with many hearing aids. It’s simple to connect to the system – just ask library staff for assistance! If your hearing aid does not loop then we have headphones which pick up feed from the presenter’s bluetooth mic. To find out more about how your hearing aid might connect to the system please contact the library desk. Anyone may use the resources of the Library, but only registered patrons may borrow materials. A Witherle librarian can assist you with registering for a card. Any year-round Maine resident, MMA student, property owner or long-term summer renter in Castine or its environs can get a free library card. Proof of residency and ID are required to register as a patron. Summer visitors to the Castine area may register as a patron by providing the above information as well as a $25 refundable cash deposit. Library patrons are asked to update their cards annually in order to keep borrowing library materials.